This is a new LED work lamp with halogen performance. 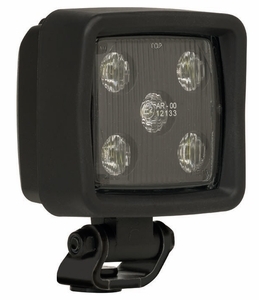 Has a light output as bright as two standard halogen lights. It is equipped with a patented LED-engine holding 5 high performance LED�s. To secure high output, performance and long life, a patented cooling system is used. 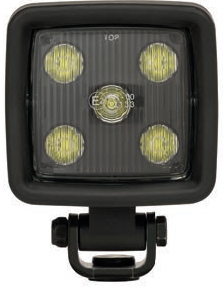 This high output work LED light meets the highest quality demands of the vehicle, forest and mining industry. Forklifts, construction, mining, agriculture, forestry, utility vehicles, military, search & rescue.